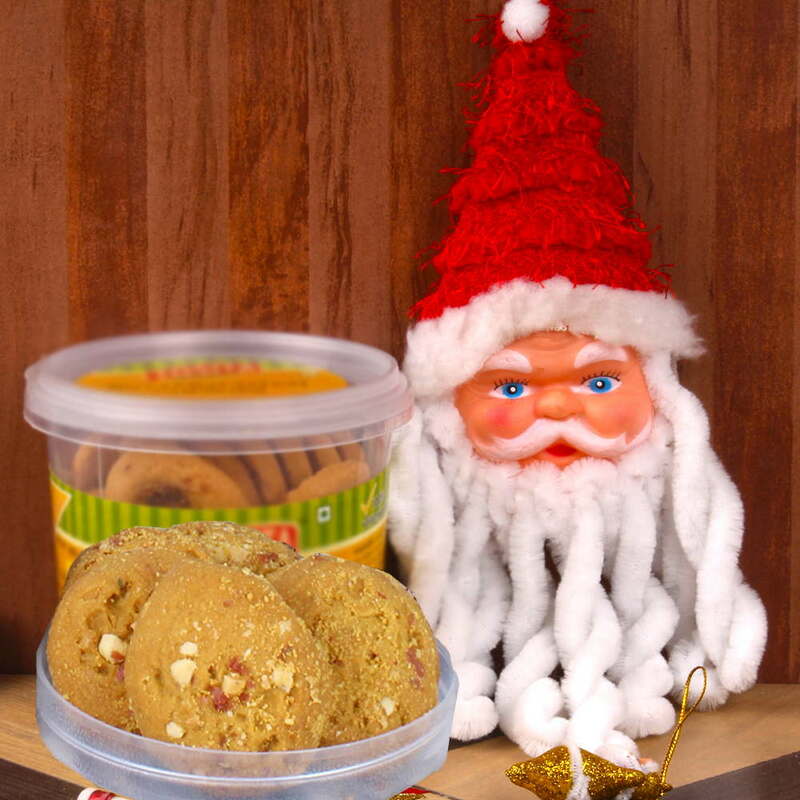 Product Consist : Cute Santa Face Hanging along with Butterscotch Cookies (Weight : 200gms). 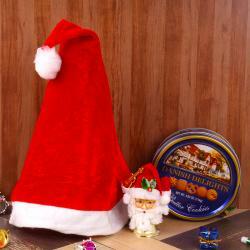 Giftacrossindia has presented a very unique and very pleasant gift hamper that will surely delight your loved ones with the joy and gift them this Wonderful Santa Smiling Face and bring upon joyous smile on their face. 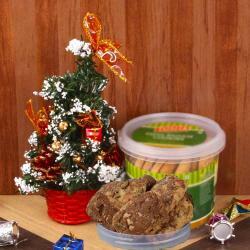 Add more happiness with delicious Butterscotch Cookies for extra sweetness and taste which make your dear one christmas celebration more cheerful. Gift this fantastic hamper to your loved ones, Family and Friends on Christmas and show them how special position they hold in your heart. 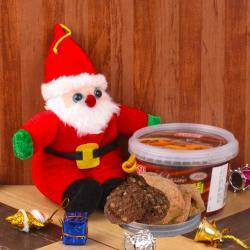 Product Consist : Cute Santa Face Hanging along with Butterscotch Cookies (Weight : 200gms).